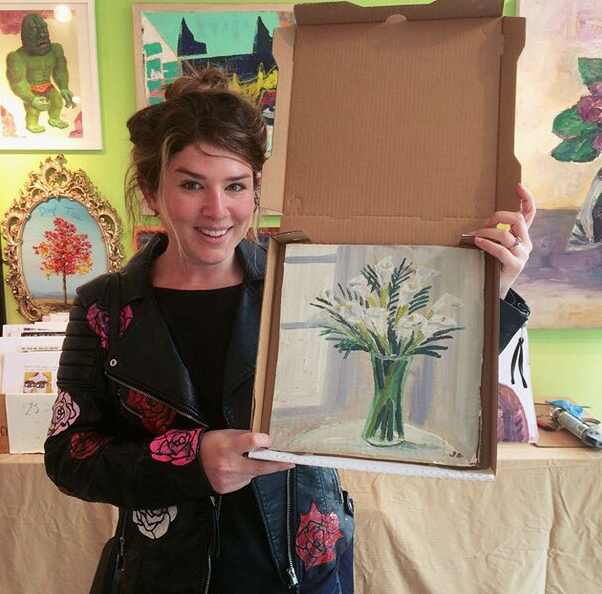 I wanted to do a show with John Kilduff of Let's Paint TV and while I was at his studio one day, he came up with the idea of Kilduff's Flower Shop. In his original concept, we would sell paintings of flowers that were the exact same bouquets and prices as the ones on 1-800 flowers. However, we ended up modifying it to allow people to choose whatever arrangements they wanted and a more standardized pricing system. John came up with tagline of "flowers die, but a painting of flowers last forever" and coincidentally there was also a terrible draught in LA that year, so I tied the tagline to the theme of drought, which ended up being a hit. 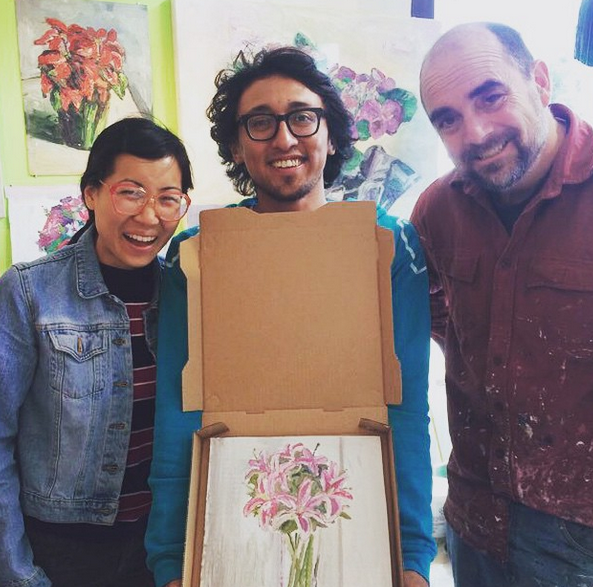 Hundreds of people ordered flowers and John painted them in the gallery. Since, they were done in oil the paint would still be wet when he was finished - so I would go around the corner to the pizza shop and buy empty boxes from them to put the paintings inside of. John Kilduff - also known as Mr. Let's Paint of Let's Paint TV. See more (May 2015) articles, HERE.